Law 34 of 1949 declares the Symbols of the Nation to be the Flag, the National Anthem, and the Coat of Arms. It was reformed by Law 2 of 2012. The Patriotic Symbols represent our history, culture and heritage at the national and international level. They represent historical events of our nation. Since 2013, November 4th is celebrated as the day of the Patriotic Symbols. The flag is divided into four quarters and has three colors (blue, red and white). 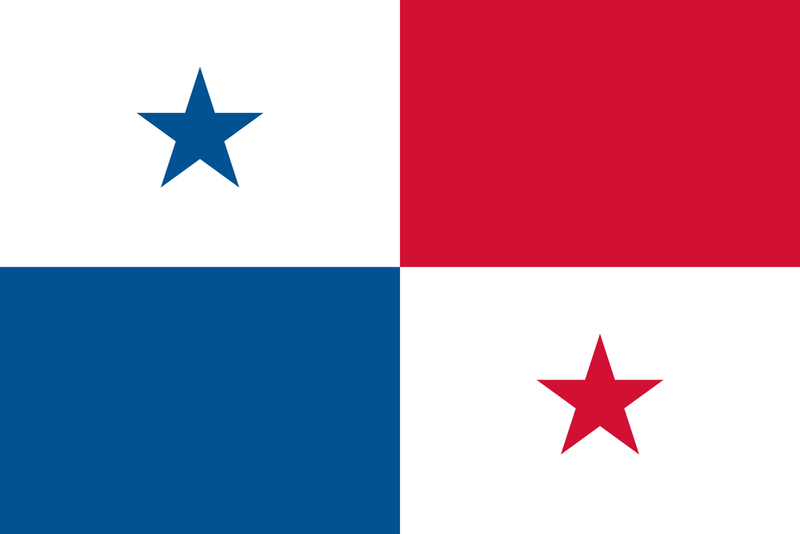 The first flag of Panama was made by María Ossa de Amador. White represents peace to make a home in the new nation. The blue color represents the conservative party; the color red, the liberal party. The blue star symbolizes the purity and honesty that govern the civic life of the country, and the red star, the authority and the law that will impose the empire of these virtues. It is a wonderful artistic work by Don Nicanor Villalaz, whose design recounts each event of our history, from the separation of Panama from Colombia that sunset of 1903, as well as the spirit of struggle that accompanied and accompanies the Panamanian through history. The National Shield was modified by Law 119 of December 30, 2013, which creates a tenth province in the Republic of Panama establishes that as of January 1, 2014 ten gold stars will be placed on the National Shield. On each side of the shield there are two national pavilions. Its beautiful notes and lyrics express the deepest feelings and ideas of the Panamanian people. The author of the music of the Anthem is Don Santos Jorge Amatriaim, and his lyrics by Don Jerónimo Ossa Escobar.